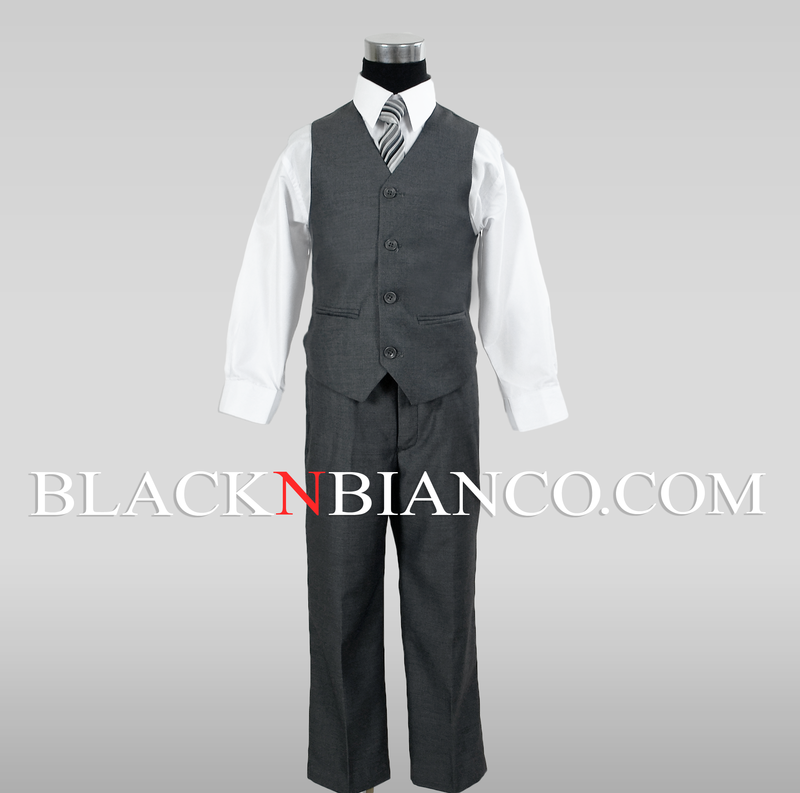 This suit delivers a sophisticated look that’s sure to impress at your sons next special event. The textured, gray exterior is as classic as it gets. 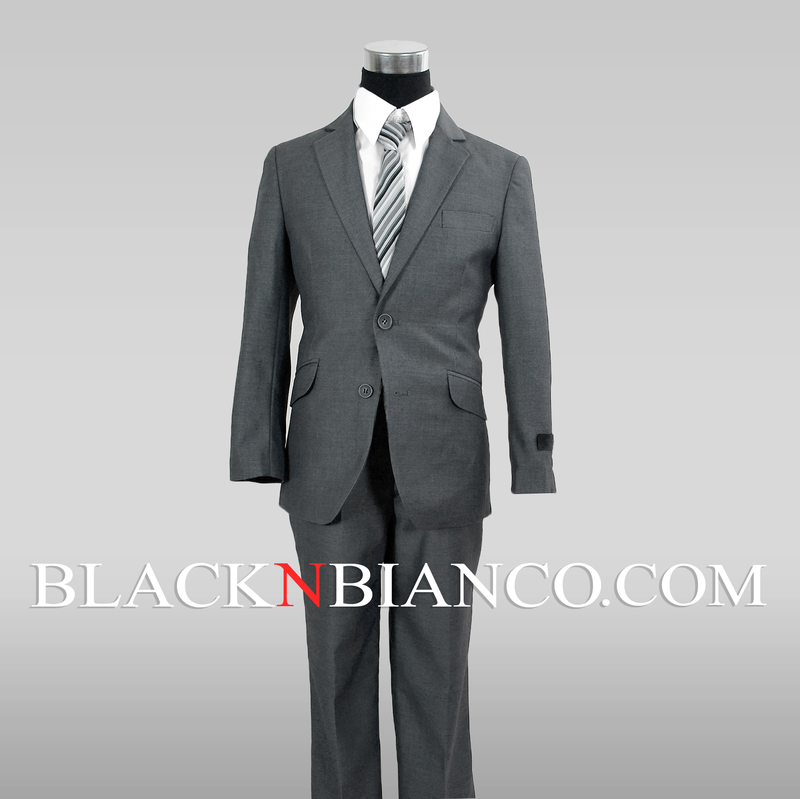 This suit includes everything you need to achieve this look. 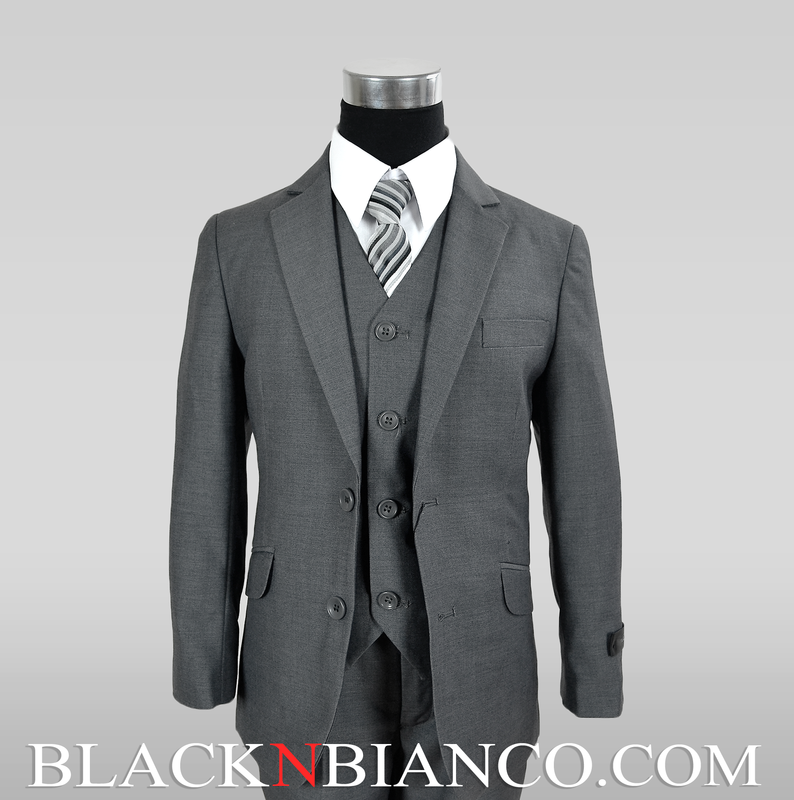 Slim Jacket suit, vest, slim tie, shirt and pants. Made from a luxuriously soft blend of polyester and Viscose you’ll little boy will feel comfortable and stylish. Your son can choose to wear this with or without the vest. Both delivering the slim formal modern look we love. 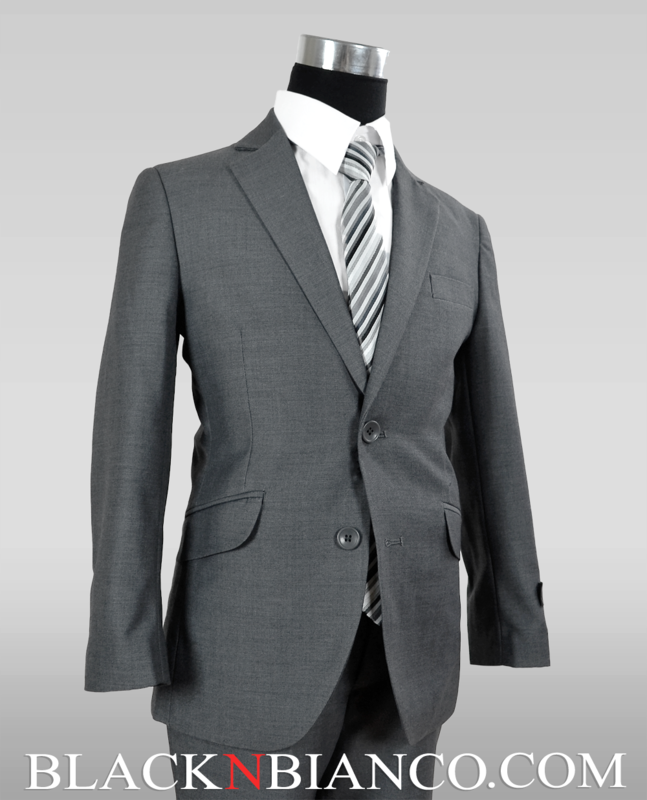 Slim-fit suit coats have a narrower lapel, higher gorge (or notch), lower button stance, smaller shoulder pads, and overall a shorter length.